Sadly, brain cancer also affects our furry friends and older pets are relatively more prone to getting it. The level of malignancy of brain tumors in pets vary greatly. Between cats and dogs, brain tumors are more common in dogs especially those over five years of age. We can take a little comfort from the fact that some tumors can be treated effectively. 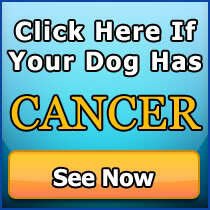 Dogs can also get brain cancer. 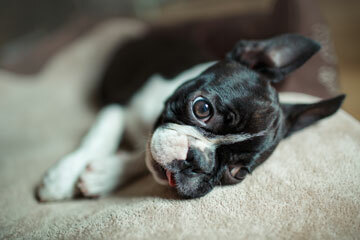 Some breeds including Boston Terrier, The Boxer, and Golden Retriever are prone to get this disease. Typically, brain tumor symptoms start mild and then progress in severity. But this is not always the case. In some cases, the symptoms starts showing quite suddenly. For example, your older dog may all of a sudden start having seizures. Or in other cases, the symptoms are subtle and gradually becomes more evident. It’s also important to note that it does happen that the signs of brain tumors increases and decreases alternately. So what symptoms should you watch out for? If your dog suddenly starts getting seizures, it is best to have her checked by the vet since this is the most common indicator of tumor in the forebrain. If the tumor is affecting the brainstem of your dog, your dog’s ability to walk may be impacted. The same is true with her mental alertness. Her respiratory and cardiovascular systems may also be impacted. You should watch out for the following signs. Your dog can start tilting her head. She may start staggering, circling or have a drunken gait. She may start having difficulty swallowing. 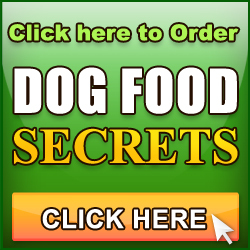 Your dog can also start losing her appetite. 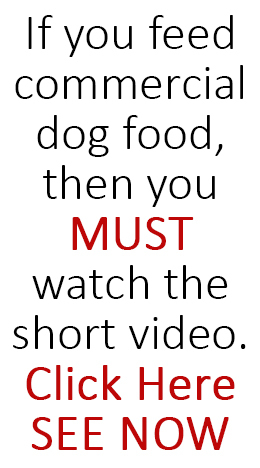 You may also start noticing a change in your dog’s bark or voice. Sadly, some dogs who have a tumor in their brainstem can go into a coma and die. If you notice your dog suddenly showing any of these symptoms, please visit your vet immediately and have your loyal family member checked. There are brain cancer treatments available including surgery, radiation therapy, chemotherapy, and palliative treatment of symptoms. Early detection of cancer can give your furry loved one a better fighting chance. In most cases, brain tumors in pets can be treated but not cured. It is also best that you find a holistic or integrative veterinarian as they can add in to the picture all natural therapies that help reduce pain and inflammation. Complimentary therapies can actually sometimes help slow down the growth of the tumor.